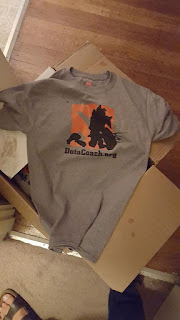 DotaCoach.org shwag is here! We're giving it away to coaches and to folks at TI5. Message us if you'd like one. If you're attending TI5 in Seattle, let us know and let's meet up! Announcing our Reputation System for Coaches! Reputation attempts to measure our confidence in the quality of each coach on DotaCoach.org. A high reputation score indicates that we are confident this coach is both active and highly regarded by his students. DotaCoach.org calculates a Reputation score for each coach to help students easily make an informed decision about which coach to work with. A coach's Reputation is an aggregate metric which combines all of the quality signals we have for that coach (eg. reviews from students, coaching experience, MMR, etc.). A high reputation score indicates that DotaCoach.org is confident this coach is both active and highly regarded by his students. Our leaderboard has been updated to show a list of the forty coaches with the best reputations where coaches are listed in order of descending reputation. This new system for determining "top coaches" provides transparency to the system we use to determine which coaches appear on the leaderboard and in what order. Understanding a coach's reputation can help you understand their coaching history and level of activity. On each coaching profile you can now see an in-depth view of the coach's reputation. Read more about our reputation system here. Follow updates on the reputation system here.